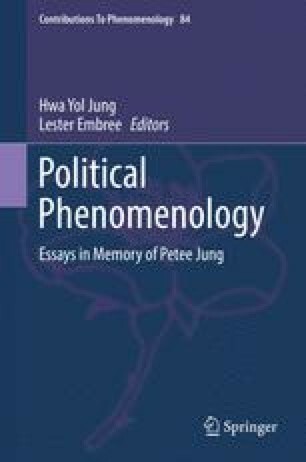 This chapter explores the contributions of Jean-Paul Sartre and Hannah Arendt to describing and defending direct political participation. Although they disagree on many other matters, both view such participation as intrinsically valuable: as the enactment of human freedom. However, both also note that the “spaces of freedom” wherein such forms of political action are possible are always ephemeral. Although Arendt deeply laments the fleeting quality of such spaces and the impermanence of free action, her explanations as to why they do not endure are not sufficient. Sartre offers a further and more compelling explanation in The Critique of Dialectical Reason, where he demonstrates how free human action is always mediated by forms of materiality that will necessarily reify it. History knows of many periods of dark times in which the public realm has been obscured and the world become so dubious that people have ceased to ask any more of politics than that it show due consideration for their vital interests and personal liberty.